XOOX (pronounced ‘Zooks’ ) is construed to be a live craft brewing space with curated food offerings of Modern Indian, Oriental and Western influences. The brand aims to revolutionise beer styles with menu pairings matching international standards, promising customers something ‘Xtra’ in value than the ‘Ordinary’. 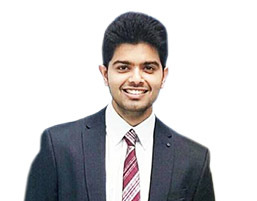 Rekhansh Karamchandani, a Masters in Strategic Marketing from London’s Imperial College carries a background in hospitality from the Welcomgroup Hotel Management School in India. Defined as a next generation restaurateur, he has a penchant for ‘Xtra Ordinary’ (XO) guest dining experiences. An Alumni of Brewlab UK, he is accredited with a Certificate in Practical Brewing and also holds a professional qualification for Wine Fundamentals Levels 1 & 2 from the prestigious International Sommelier’s Guild UK. His forte strongly encompasses elements such as Branding, Retail Marketing and People Management through his extensive association with popular Indian hotel chains and restaurants.